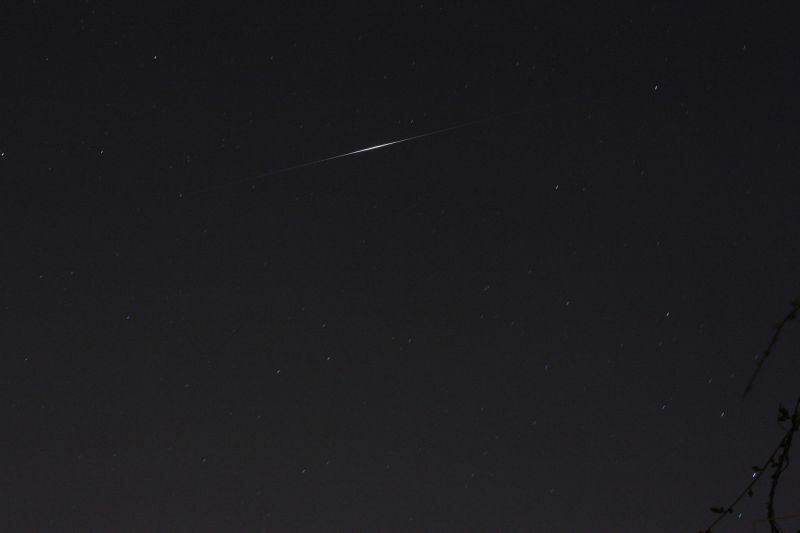 Iridium flare from Iridium 41 communications satellite. Camera and filters used: Canon 450D DSLR, 45 seconds at 33mm, f/6.3, ISO-1600. Processing applied: Calibrated in DSS with 1 dark frame to remove rogue pixels.